Join us for an incredible morning of Bowling, Laser Tag, Pizza, Soda, unlimited arcade for non-ticketed games and more! This is open for all 6th-12th grades students. Drop off and pick up will be from The Summit. Spread the word and invite your friends. Tickets required. $25, available now. Be present. Be filled. Be ready for more. 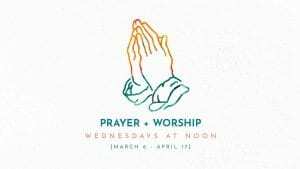 From Ash Wednesday through Easter, we’ll gather weekly on Wednesdays at noon to spend focused time with Jesus and each other. We’ll start with worship and prayer together, then split up for as much individual time as you'd like. No experience needed. You'll never be put on the spot. A meal is provided on March 6 and fresh fruit and juices will be provided each week following. Be present. Be filled. Be ready for more. From Ash Wednesday through Easter, we’ll gather weekly on Wednesdays at noon to spend focused time with Jesus and each other. We’ll start with worship and prayer together, then split up for as much individual time as you'd like. No experience needed. You'll never be put on the spot. Fresh fruit and juices will be provided. Saturday, April 6th from 9:00am - 1:00pm. 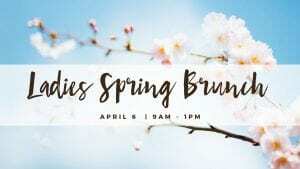 Greeley Country Club 4500 W 10th St, Greeley CO Tickets are available for purchase before and after services at Generations on Sunday, March 31. Contact Sandi Cummings for more information: 970-302-7759. 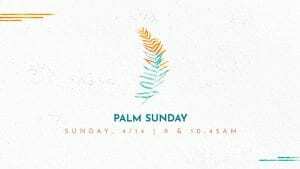 Kick off Easter Week with our Palm Sunday Party! gKids will headline our worship experiences with a moment of music and celebration, and we’ll be snagging selfies with our pal Beth the Donkey! The worship experience will last about an hour, invite your family and friends! A traditional take on a transformational story. 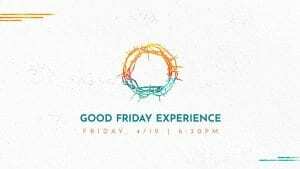 Experience a moving choir performance with a stirring narration of the events leading to Jesus’ crucifixion and resurrection. The Generations choir will partner with Timberline Church’s choir to create an a environment for reflection. No childcare available, but children are welcome.